Yoshimune-san’s Muv-Luv series will see the light of the day in the West after an incredible Kickstarter campaign to localize the visual novel series. The Kickstarter was a resounding success generating a total of $1,255,444. This is about 502% higher than their original goal of $250,000. This is the total without accounting for those who pledged using PayPal. Thanks to 7,890 backers/fans and possibly some more, Muv-Luv will finally see the release it deserves in the West. The Muv-Luv­ Kickstarter had 5 stretch goals to reach and it easily surpassed them all. So not only will the Muv-Luv trilogy be released in the West, it will be released here with various improvements and will be available for PS Vita and Android in addition to the PC. The West will also be receiving a Windows port of the PS3 ­Muv-Luv side story collections, Photon Melodies and Photon Flowers due to the campaign surpassing $720,000. 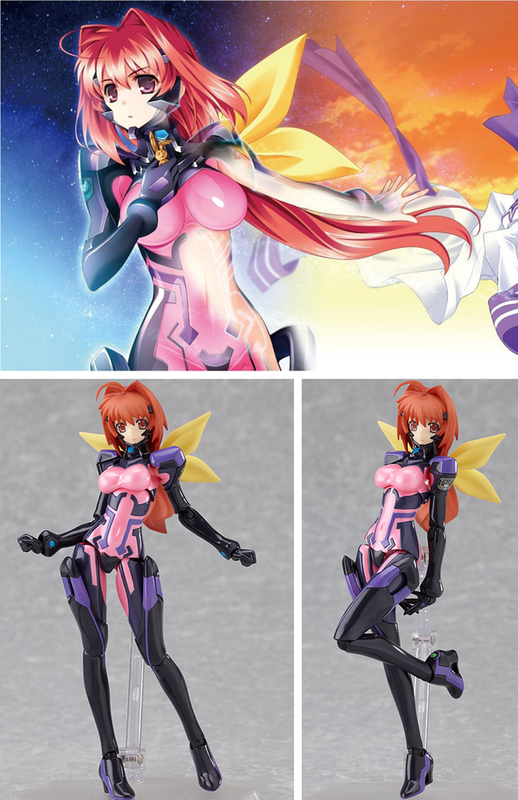 And thanks to the last stretch goal being reached, there will now be a Physical edition of the Muv-Luv Codex and all those who pledged for a Collector’s Box will receive a limited edition Sumika figma as a bonus. You can check out a picture of the figma below. Here are the synopses for the three games in the Muv-Luv trilogy. Muv-Luv【Extra】and Muv-Luv 【Unlimited】are contained in the original Muv-Luv. 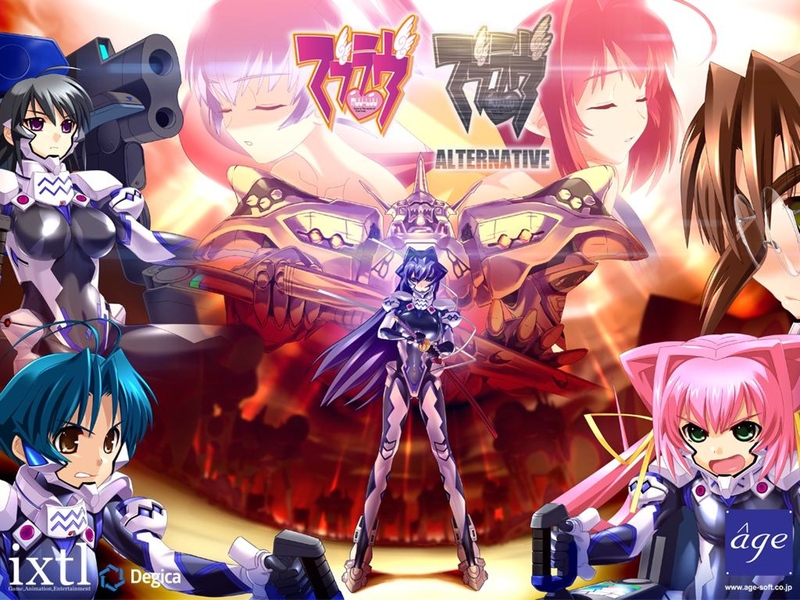 Muv-Luv Alternative is a direct sequel to Muv-Luv 【Unlimited】and is the final part of the trilogy. Shirogane Takeru was living a peaceful life as a 3rd year high school student with his childhood friend Kagami Sumika. However, one morning Takeru awakens to see a mysterious girl named Mitsurugi Meiya sleeping in his bed. Thus begins the start of a high school love comedy where Takeru will have to choose between his childhood friend and the girl insisting they are bonded by fate. Shirogane Takeru finds himself stuck in a parallel world where mankind is on the brink of extinction after battling against alien invaders known as the BETA for the last 20 years. Takeru soon finds himself enrolled into the United Nations 11th Force to fight these aliens. In this strange world he finds parallel versions of all of his high school friends, with one exception: Kagami Sumika, who does not seem to exist. Soon he will have to fight to save mankind and protect the girl he comes to love over the course of the story. Three years after witnessing the tragic exodus of mankind, Takeru wakes up believing that everything that had happened was just a dream. The brief hope that he has at last come back to his world is dashed away as soon as he discovers that he is once more trapped in the parallel world of Unlimited. Give yourselves a pat on the back Muv-Luv fans, you guys did it. Now people in the West can experience the most highly acclaimed visual novel series for themselves. Congratulations to Yoshimune-san and the rest of the Muv-Luv Team for a very successful Kickstarter campaign. You can check out Muv-Luv‘s Kickstarter page HERE.